If you read my last post, you know that I set up a machine (Thinkpad x230) with UEFI and four operating systems on it. One, I had no experience with – DragonFlyBSD (other than using Matthew Dillon’s C compiler for the Amiga back in the day!) and so it was uncharted territory for me. After getting the install working, I started playing around inside of DragonFlyBSD and discovered to my delight that it was a great operating system with some really unique features – all with that BSD commitment to good documentation and a solid coupling of kernel and userland that doesn’t exist (by design) in Linux. So my goal for my DragonFlyBSD desktop experience was to be as BSD as I possibly could. Given that (and since I’m the maintainer of the port on OpenBSD <grin>), I went with Lumina as the desktop environment and XDM as the graphical login manager. I have to confess that I really like the xfce terminal application so I wanted to make sure I had that as well. Toss in Firefox, libreOffice and ownCloud sync client and I’m good to go! I then crossed my fingers, rebooted and lo and behold had a graphical login that, when I actually didn’t fat finger my password from excitement, put me into the Lumina desktop environment! Next up – I need a cool desktop wallpaper. Of course that’s way more important that installing application or other stuff! After some searching, I found this one that met my needs. I downloaded it to a local ~/Pictures directory and then used the Lumina wallpaper preference application to add the directory containing the picture and set it to automatic layout. Voila! 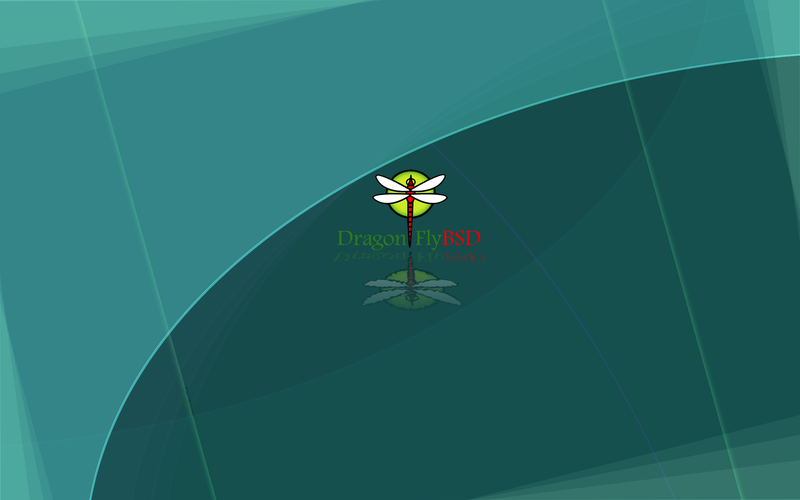 I had a cool DragonFlyBSD wallpaper. After that, I really had a nicely functioning desktop environment! By the way, the performance of DragonFlyBSD is pretty impressive in terms of its day to day usage. Keep in mind I’m not doing any official benchmarking or anything, but it sure feels to me to be just as fast (if not faster) than OpenBSD and FreeBSD. I know that the kernel team has done a lot to unlock things (which FreeBSD has done and we are starting to do on OpenBSD) so perhaps I can attribute the “snappiness” to that? As you can see, although there isn’t as much documentation on the Internet for this BSD, you can get a really nice, functional desktop out of it with some simple (and intuitive) configuration. I’m really looking forward to living in this system for a while and learning about it. Probably the first thing I’ll do is ring up the port maintainer for Lumina and see if we can’t collaborate on getting Lumina 1.3 moved over to it! Give this one a try – I think you’ll find that its a very nice operating system with some very cool features (the HAMMER filesystem for one!). ← Boot All The Things! This is a nice write up. DragonFly is IMO one of the best kept secrets among the BSDs.